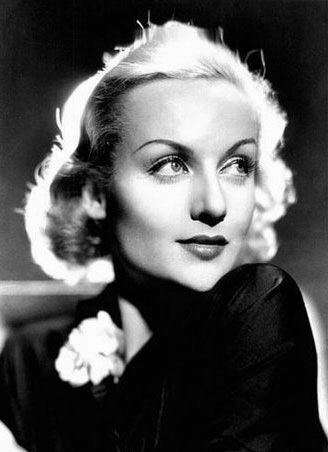 Born October 6, 1908 (1908-10-06) Fort Wayne, Indiana, U.S.
Carole Lombard (born Jane Alice Peters, October 6, 1908 – January 16, 1942) was an American film actress. She was particularly noted for her energetic, often off-beat roles in the screwball comedies of the 1930s. She was the highest-paid star in Hollywood in the late 1930s. She was the second wife of actor Clark Gable. 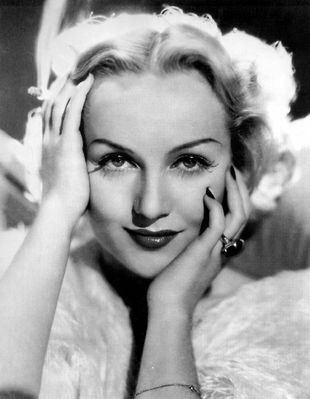 Paramount quickly began casting Lombard as a leading lady, primarily in drama films. Her profile increased when she married William Powell in 1931, but the couple divorced after two years. A turning point in Lombard's career came when she starred in Howard Hawks' pioneering screwball comedy Twentieth Century (1934). The actress found her niche in this genre, and continued to appear in films such as Hands Across the Table (1935) (forming a popular partnership with Fred MacMurray), My Man Godfrey (1936), for which she was nominated for the Academy Award for Best Actress, and Nothing Sacred (1937). At this time, Lombard married "the King of Hollywood", Clark Gable, and the supercouple gained much attention from the media. Keen to win an Oscar, at the end of the decade, Lombard began to move towards more serious roles. Unsuccessful in this aim, she returned to comedy in Alfred Hitchcock's Mr. & Mrs. Smith (1941) and Ernst Lubitsch's To Be or Not to Be (1942) — her final film role. In March 1925, Fox gave Lombard a leading role in the drama Marriage in Transit, opposite Edmund Lowe. Her performance was well received, with a reviewer for Motion Picture News writing that she displayed "good poise and considerable charm." Despite this, the studio heads were unconvinced that Lombard was leading lady material, and her one-year contract was not renewed. Gehring has suggested that a facial scar she obtained in an automobile accident was a factor in this decision. Fearing that the scar — which ran across her cheek — would ruin her career, the 17-year-old had an early plastic surgery procedure to make it less visible. 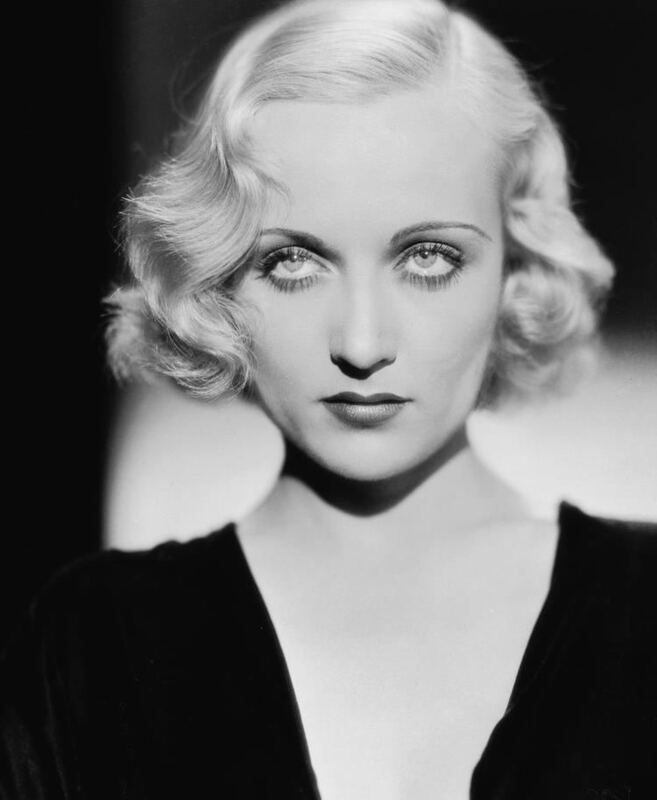 For the remainder of her career, Lombard learned to hide the mark with make-up and careful lighting. Lombard appeared in five films released during 1931, beginning with the Frank Tuttle comedy It Pays to Advertise. Her next two films, Man of the World and Ladies Man, both featured William Powell, Paramount's top male star. Lombard had been a fan of the actor before they met, attracted to his good looks and debonair screen persona, and they were soon in a relationship. The differences between the pair have been noted by biographers: she was 22, carefree, and famously foul-mouthed, while he was 38, intellectual, and sophisticated. Despite their disparate personalities, Lombard married Powell on June 6, 1931, at her Beverly Hills home. Talking to the media, she argued for the benefits of "love between two people who are diametrically different", claiming that their relationship allowed for a "perfect see-saw love". The marriage to Powell increased Lombard's fame, while she continued to please critics with her work in Up Pops the Devil and I Take this Woman (both 1931). In reviews for the latter film, which co-starred Gary Cooper, several critics predicted that Lombard was set to become a major star. She went on to appear in five films throughout 1932. No One Man and Sinners in the Sun were not successful, but Edward Buzzell's romantic picture Virtue was well received. After featuring in the drama No More Orchids, Lombard was cast as the wife of a con artist in No Man of Her Own. Her co-star for the picture was Clark Gable, who was rapidly becoming one of Hollywood's top stars. The film was a critical and commercial success, and Wes Gehring writes that it was "arguably Lombard's finest film appearance" to that point. It was the only picture that Gable and Lombard, future husband and wife, made together. There was no romantic interest at this time however, as she recounted to Garson Kanin: "[we] did all kinds of hot love scenes ... and I never got any kind of tremble out of him at all". Lombard was then recruited by the director Howard Hawks, a second cousin, to star in his screwball comedy film Twentieth Century which proved a watershed in her career and made her a major star. Hawks had seen the actress inebriated at a party, where he found her to be "hilarious and uninhibited and just what the part needed", and she was cast opposite John Barrymore. In Twentieth Century, Lombard played an actress who is pursued by her former mentor, a flamboyant Broadway impresario. Hawks and Barrymore were unimpressed with her work in rehearsals, finding that she was "acting" too hard and giving a stiff performance. The director encouraged Lombard to relax, be herself, and act on her instincts. She responded well to this tutoring, and reviews for the film commented on her unexpectedly "fiery talent" — "a Lombard like no Lombard you've ever seen". The Los Angeles Times' critic felt that she was "entirely different" from her formerly cool, "calculated" persona, adding, "she vibrates with life and passion, abandon and diablerie". The next films in which Lombard appeared were Henry Hathaway's Now and Forever (1934), featuring Gary Cooper and the new child star Shirley Temple, and Lady by Choice (1934), which was a critical and commercial success. The Gay Bride (1934) placed her opposite Chester Morris in a gangster comedy, but this outing was panned by critics. After reuniting with George Raft for another dance picture, Rumba (1935), Lombard was given the opportunity to repeat the screwball success of Twentieth Century. In Mitchell Leisen's Hands Across the Table (1935), she portrayed a manicurist in search of a rich husband, played by Fred MacMurray. Critics praised the film, and Photoplay's reviewer stated that Lombard had reaffirmed her talent for the genre. 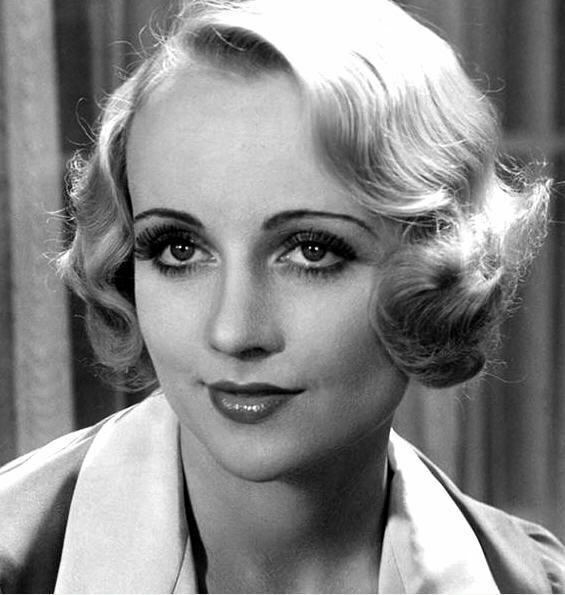 It is remembered as one of her best films, and the pairing of Lombard and MacMurray proved so successful that they made three more pictures together. By 1937, Lombard was one of Hollywood's most popular actresses, and also the highest-paid star in Hollywood following the deal which Myron Selznick negotiated with Paramount that brought her $450,000, more than five times the salary of the U.S. President. As her salary was widely reported in the press, Lombard stated that 80% of her earnings went in taxes, but that she was happy to help improve her country. The comments earned her much positive publicity, and President Franklin D. Roosevelt sent her a personal letter of thanks. Fools for Scandal was the only film Lombard made in 1938. By this time, she was devoted to a relationship with Clark Gable. Four years after their teaming on No Man of Her Own, the pair had reunited at a Hollywood party and began a romance early in 1936. The media took great interest in their partnership and frequently questioned if they would wed. Gable was separated from his wife, Rhea Langham, but she did not want to grant him a divorce. As his relationship with Lombard became serious, Langham eventually agreed to a settlement worth half a million dollars. The divorce was finalized in March 1939, and Gable and Lombard eloped in Kingman, Arizona, on March 29. The couple — both lovers of the outdoors — bought a 20-acre ranch in Encino, California, where they kept barnyard animals and enjoyed hunting trips. Almost immediately, Lombard wanted to start a family, but her attempts failed; after two miscarriages and numerous trips to fertility specialists, she was unable to have children. In early 1938, Lombard officially joined the Bahá'í Faith, of which her mother had been a member since 1922. Lombard was eager to win an Academy Award, and selected her next project — from several possible scripts — with the expectation that it would bring her the trophy. Vigil in the Night (1940), directed by George Stevens, featured Lombard as a nurse who faces a series of personal difficulties. Although the performance was praised, she did not get her nomination, as the sombre mood of the picture turned audiences away and box-office returns were poor. Despite the realization that she was best suited to comedies, Lombard completed one more drama: They Knew What They Wanted (1940), co-starring Charles Laughton, which was mildly successful. It was nearly a year before Lombard committed to another film, as she focused instead on her home and marriage. Determined that her next film be "an unqualified smash hit", she was also careful in selecting a new project. Through her agent, Lombard heard of Ernst Lubitsch's upcoming film: To Be or Not to Be (1942), a dark comedy that satirized the Nazi takeover of Poland. The actress had long wanted to work with Lubitsch, her favorite comedy director, and felt that the material — although controversial — was a worthy subject. Lombard accepted the role of actress Maria Tura, despite it being a smaller part than she was used to, and was given top billing over the film's lead, Jack Benny. Filming took place in the fall of 1941, and was reportedly one of the happiest experiences of Lombard's career. When the U.S. entered World War II at the end of 1941, Lombard traveled to her home state of Indiana for a war bond rally with her mother, Bess Peters, and Clark Gable's press agent, Otto Winkler. Lombard was able to raise over $2 million ($35 million in 2016) in defense bonds in a single evening. Her party had initially been scheduled to return to Los Angeles by train, but Lombard was anxious to reach home more quickly and wanted to fly by a scheduled airline. Her mother and Winkler were both afraid of flying and insisted they follow their original travel plans. Lombard suggested they flip a coin; they agreed and Lombard won the toss. In the early morning hours of January 16, 1942, Lombard, her mother, and Winkler boarded a Transcontinental and Western Air Douglas DST (Douglas Sleeper Transport) aircraft to return to California. After refueling in Las Vegas, TWA Flight 3 took off at 7:07 p.m. and around 13 minutes later, crashed into "Double Up Peak" near the 8,300-foot (2,530 m) level of Potosi Mountain, 32 statute miles (51 km) southwest of Las Vegas. All 22 aboard, Lombard and her mother included, plus fifteen army servicemen, were killed instantly. At the time of her death, Lombard had been scheduled to star in the film They All Kissed the Bride; when production started, she was replaced by Joan Crawford. Crawford donated all of her salary for the film to the Red Cross, which had helped extensively in the recovery of bodies from the air crash. Shortly after Lombard's death, Gable, who was inconsolable and devastated by his loss, joined the United States Army Air Forces. Lombard had asked him to do that numerous times after the United States had entered World War II. After officer training, Gable headed a six-man motion picture unit attached to a B-17 bomb group in England to film aerial gunners in combat, flying five missions himself. 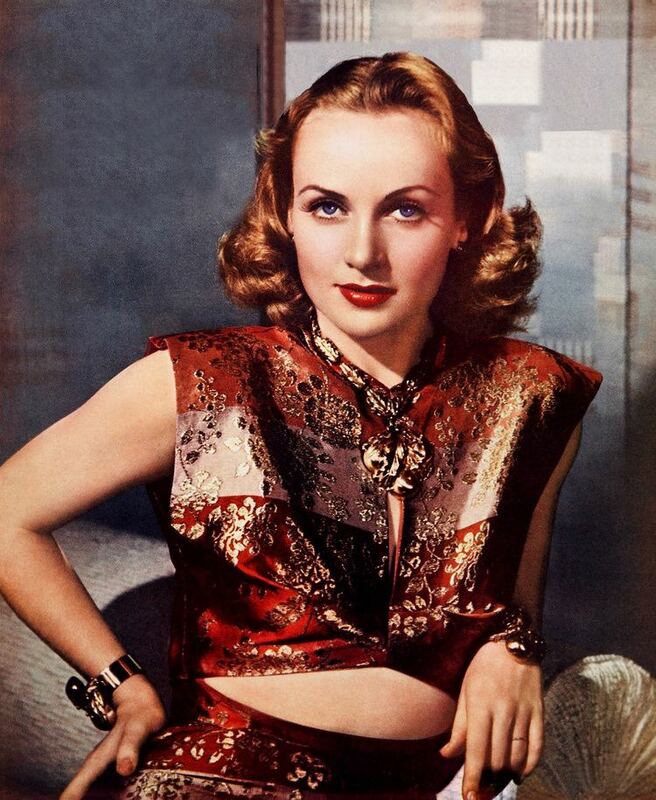 In December 1943, the United States Maritime Commission announced that a Liberty ship named after Carole Lombard would be launched. Gable attended the launch of the SS Carole Lombard on January 15, 1944, the two-year anniversary of Lombard's record-breaking war bond drive. The ship was involved in rescuing hundreds of survivors from sunken ships in the Pacific and returning them to safety. In 1962, Mrs. Jill Winkler Rath, widow of publicist Otto Winkler, filed a $100,000 lawsuit against the $2,000,000 estate of Clark Gable in connection with Winkler's death in the plane crash with Carole Lombard. The suit was dismissed in Los Angeles Superior Court. Mrs. Rath, in her action, claimed Gable promised to provide financial aid for her if she would not bring suit against the airline involved. Mrs. Rath stated she later learned that Gable settled his claim against the airline for $10. He did so because he did not want to repeat his grief in court and subsequently provided her no financial aid in his will. Author Robert D. Matzen has cited Lombard as "among the most commercially successful and admired film personalities in Hollywood in the 1930s", and feminist writer June Sochen believes that Lombard "demonstrated great knowledge of the mechanics of film making". 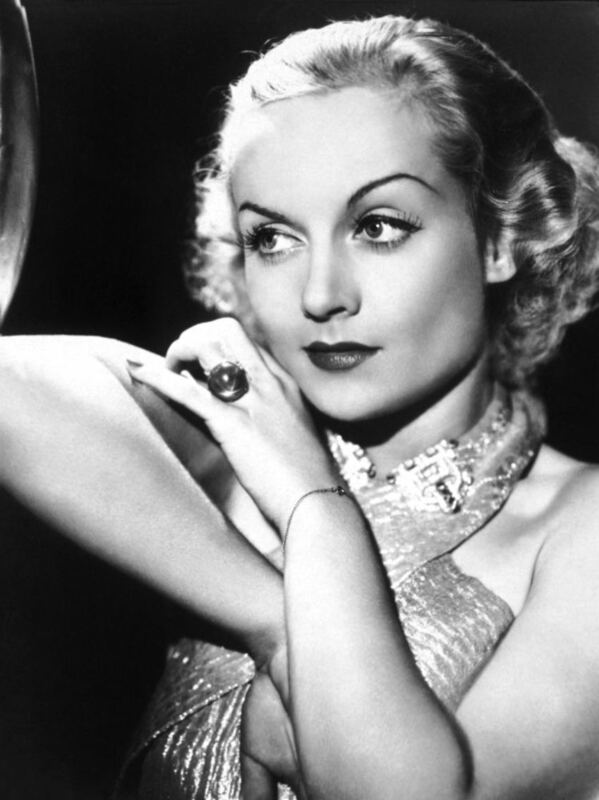 George Raft, her co-star in Bolero, was extremely fond of the actress, remarking "I truly loved Carole Lombard. She was the greatest girl that ever lived and we were the best of pals. Completely honest and outspoken, she was liked by everyone". Lombard was particularly noted for the zaniness of her performances, described as a "natural prankster, a salty tongued straight-shooter, a feminist precursor and one of the few stars who was beloved by the technicians and studio functionaries who worked with her". Life magazine noted that her film personality transcended to real life, "her conversation, often brilliant, is punctuated by screeches, laughs, growls, gesticulations and the expletives of a sailor's parrot". Graham Greene praised the "heartbreaking and nostalgic melodies" of her faster-than-thought delivery. "Platinum blonde, with a heart-shaped face, delicate, impish features and a figure made to be swathed in silver lamé, Lombard wriggled expressively through such classics of hysteria as Twentieth Century and My Man Godfrey." In 1999, the American Film Institute ranked Lombard 23rd on its list of the 25 greatest American female screen legends of classic Hollywood cinema, and she has a star on the Hollywood Walk of Fame, at 6930 Hollywood Blvd. Lombard received one Academy Award for Best Actress nomination, for My Man Godfrey. Actresses who have portrayed her in films include Jill Clayburgh in Gable and Lombard (1976), Sharon Gless in Moviola: The Scarlett O'Hara War (1980), Denise Crosby in Malice in Wonderland (1985), Anastasia Hille in RKO 281 (1999) and Vanessa Gray in Lucy (2003). Lombard's Fort Wayne childhood home has been designated a historic landmark. The city named the nearby bridge over the St. Mary's River the Carole Lombard Memorial Bridge.